In a small bowl, combine red wine vinegar with 1/2 cup of cold tap water. Stir in salt, the sugar and the hot sauce. 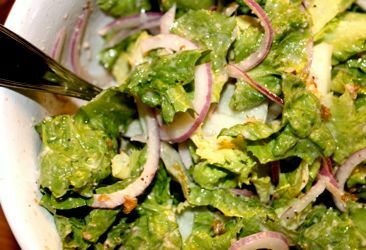 Toss together the escarole, hazelnut mixture and some of the pickled red onions and dress with some of the pickling liquid and olive oil.